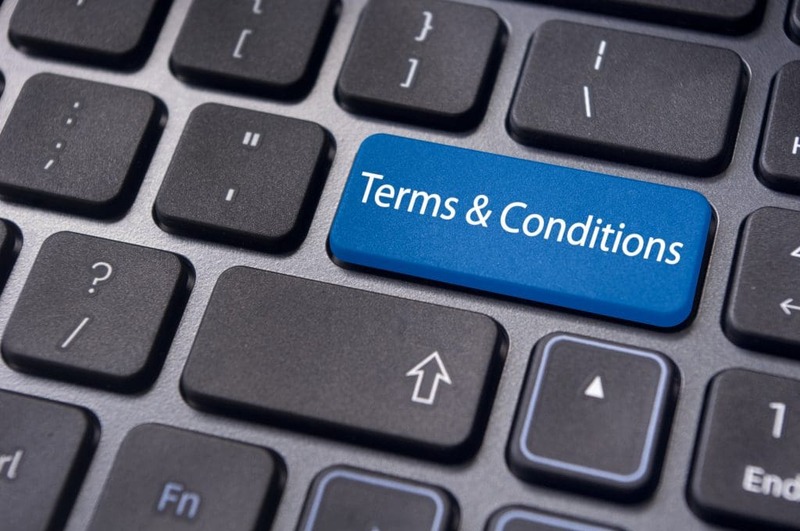 These Terms and Conditions govern the terms of your access and use of TradingFXSignals website, platform and/or services provided through this platform as website visitors, signal followers and signal providers, and constitute your legal agreement with us. After you click on ‘Sign up’, ‘Register’ or ‘I Agree’ or when you use the TradingFXSignals website, platform and/or services provided through the platform, a legally binding agreement on these Terms and Conditions is concluded between you and us. “We”, “us” means Next Era Pte Ltd, a Singapore company, the owner of the TradingFXSignals Platform. “User”, “you” means a person or a company using the TradingFXSignals Platform and the Services as a website visitor, Strategy Follower or Strategy Provider. “Strategy Follower” means a user, who has signed up for the Services by registering on the TradingFXSignals Platform and uses TradingFXSignals Services and Strategy Provider’s Services by following trading signals from Strategy Providers. “Strategy Provider” means a financial markets trader, who has developed certain trading systems designed to generate trading signals to be used by Strategy Followers, and who streams their trading activities through TradingFXSignals Platform or through the platforms and websites of our licensees. “Broker” means a broker and its online trading system, which is integrated with TradingFXSignals Platform and where the Strategy Followers’ trades are executed according to the trading signals from Strategy Providers. “TradingFXSignals Platform” means the website and our proprietary web-based platform for auto-trading, accessible at http://www.TradingFXSignals.com/ or any other online website or mobile application provided by us, through which TradingFXSignals Services and Strategy Provider’s Services are available and provided, including their sub-domains, programming code, related technologies, know-hows, databases and design. To Strategy Providers in order for them to provide Strategy Provider’s Services to Strategy Followers through the TradingFXSignals Platform. Such services also include access to the trading statistics of Strategy Followers, who follows you as a Strategy Provider. To Strategy Followers, in order for them to receive the trading signals from the selected Strategy Providers and following them on financial markets by real-time duplicating (mirroring) their trading activities and execution trades in automated mode according to the trading signals through account opened by Strategy Followers with a Broker (Brokers) and connected with the TradingFXSignals Platform. Such services also include (i) validation of the received trading signals from Strategy Providers, (ii) sending the validated trading signals to the Strategy Followers’ accounts with Brokers for execution, and (iii) access to the portfolio management and the trading statistics modules of the TradingFXSignals Platform. “Strategy Provider’s Services” means making available by Strategy Provider its trading activity and streaming it to Strategy Followers through the TradingFXSignals Platform. Each trading action performed in Strategy Provider’s account connected to the TradingFXSignals Platform is sent to Strategy Followers’ Broker accounts as a trading signal. Such a signal automatically triggers a trade in Strategy Follower’s account (i) if it falls within the settings and parameters set by Strategy Follower and (ii) in case this particular Strategy Follower has chosen to follow the trading signals from this certain Strategy Provider. “Services” means TradingFXSignals Services and Strategy Provider’s Services. Any use of the TradingFXSignals Platform and the Services is at your sole option, discretion and risk. By using them you acknowledge that you do not find the services to be objectionable or unfair in any way. License Grant. Permitted Use. Subject to your compliance with these Terms, we give you a personal, worldwide, royalty-free, non-assignable and non-exclusive license to access and use the TradingFXSignals Platform for your own personal non-commercial use. This license is for the sole purpose of enabling you to use and enjoy the benefits of the TradingFXSignals Platform in the manner permitted by these Terms. Any other use of the TradingFXSignals Platform requires our prior written consent. Legal Restrictions. The TradingFXSignals Platform may be used and accessed for lawful purposes only. You understand that laws regarding financial contracts and trading activities vary throughout the world, and it is your obligation alone to ensure that you fully comply with any law, regulation or directive, relevant to your country of residency with regards to the use of the TradingFXSignals Platform and the Services. The ability to access the TradingFXSignals Platform does not necessarily mean that the Services, and/or your activities through it, are legal under the laws, regulations or directives relevant to your country of residency. Reproduce, modify, adapt, prepare derivative works based on, perform, display, publish, distribute, transmit, broadcast, sell, license or otherwise exploit the TradingFXSignals Platform and the Services. Use the TradingFXSignals Platform as part of a facility management, timesharing, service provider, software-as-a-service, display, perform, or publish or otherwise permit third parties to benefit from the use or functionality of the TradingFXSignals Platform or any data or information provided by, with or through the TradingFXSignals Platform. Circumvent, disable or otherwise interfere with security related features of the TradingFXSignals Platform. Interfere with or disrupt (or attempt to interfere with or disrupt) any functionality of the TradingFXSignals Platform, servers or networks connected to the TradingFXSignals Platform, or the technical delivery systems of our providers or disobey any requirements, procedures, policies or regulations of networks connected to the TradingFXSignals Platform. Attempt to probe, scan or test the vulnerability of any our system or network or breach or impair or circumvent any security or authentication measures protecting the TradingFXSignals Platform. Attempt to decipher, decompile, disassemble or reverse engineer any of the software used to provide the TradingFXSignals Platform. Attempt to access, scrape, parse, search or meta-search the TradingFXSignals Platform with any engine, software, tool, agent, device or mechanism other than software and/or search agents provided by us or other generally available third party web browsers. Use the TradingFXSignals Platform or the Services in any manner not permitted by these Terms. Updates and Support. At our discretion we may make updates or upgrades available for the TradingFXSignals Platform. On a case-by-case basis and at our sole discretion we may offer support for the TradingFXSignals Platform and TradingFXSignals Services consisting of online FAQ, online documentation (user manuals or tutorials), live chat and support over email. Publicity. By accepting these Terms you consent to the use of, and agree that we may use, your name, likeness, and photograph in, and in connection with, the development, production, distribution and/or exploitation (including marketing and promotion) of TradingFXSignals Services, our websites and/or our business generally , without additional compensation. In the event that you as a Strategy Follower ranks among top trade performers , you acknowledge and agree that by this fact you are making yourself available to us for publicity, advertising and promotional activities relating to TradingFXSignals Services, our websites and/or our business generally, without additional compensation, from the date of your entering the top until such time you are no longer in the top. We reserve the right to make public statements about you and your performance, on-air, on the Internet, or otherwise. You agree not to charge or demand, or attempt or seek to charge or demand, any fee or additional consideration or compensation, or impose any additional conditions, in respect of the fulfillment of any such obligations. Demo Version. We may provide you with evaluation version of the TradingFXSignals Platform for 30 days period. The use of any trading system, strategy or signals, including any system, strategy or signals included as a sample in, or that is or was developed using, the TradingFXSignals Platform and the Services or any data, information, products or services provided by or through the TradingFXSignals Platform and the Services, including trade signals from Strategy Providers, does not and cannot guarantee that you will make profits, increase profits or minimize losses. You understand that there can be no guarantee that your use of the Services or the information disseminated through the TradingFXSignals Platform will result in profits. Further, you understand that such your use may result in substantial losses. YOU ALONE ASSUME SOLE RESPONSIBILITY FOR ANY INVESTMENTS OR DECISIONS YOU MAKE BASED ON THE TRADINGFXSIGNALS PLATFORM OR ANY DATA, INFORMATION, PRODUCTS OR SERVICES PROVIDED BY OR THROUGH THE TRADINGFXSIGNALS PLATFORM, INCLUDING TRADE SIGNALS FROM SIGNAL PROVIDERS. UNDER NO CIRCUMSTANCES SHALL WE BE LIABLE FOR ANY LOSS OR DAMAGE YOU OR ANYONE ELSE INCURS AS A RESULT OF ANY TRADING OR INVESTMENT ACTIVITY THAT YOU OR ANYONE ELSE ENGAGES IN BASED ON ANY INFORMATION, DATA OR MATERIAL YOU RECEIVE THROUGH THE TRADINGFXSIGNALS PLATFORM, INCLUDING TRADE SIGNALS FROM SIGNAL PROVIDERS, OR AS A RESULT OF USE OF THE TRADINGFXSIGNALS PLATFORM. The returns for Strategy Providers listed throughout the TradingFXSignals Platform are hypothetical in that they represent returns in a model account. The model account may rise or fall by the exact single contract profit and loss achieved by clients trading actual money pursuant to the listed system’s trading signals on the appropriate dates, or if no actual client profit or loss is available, by the hypothetical single contract profit and loss of trades generated by the system’s trading signals over the test period. The actual percentage gains/losses experienced by you will vary depending on many factors, including, but not limited to: the settings you have selected for trades mirroring, starting account balances, market behavior, your account settings, and the performance of Strategy Providers. Because of this, actual percentage gains/losses experienced by you may be materially different than the percentage gains/losses as presented through the TradingFXSignals Platform. No Advice or Solicitation. The TradingFXSignals Platform is for informational purposes only. You acknowledge and agree that the TradingFXSignals Platform is not intended to supply investment or financial advice or a recommendation to trade using any specific Strategy Provider. We or Strategy Providers offer no advice regarding the nature, potential value, or suitability or any particular currency, transaction, investment or investment strategy. You should not construe any data or information provided by Strategy Providers as legal, tax, investment, financial or other advice. Nothing in the TradingFXSignals Platform is a solicitation to buy, sell or hold foreign currencies or other investments or financial instruments. Ranking. As you trades as a Strategy Provider, your performance and position in the TradingFXSignals Platform ranking will evolve; moving up and down. You agree that we, at our sole discretion, decide what data and information are taken into consideration in order to calculate your place in the ranking. Your use of the TradingFXSignals Platform and the Services and any other information, products or software made available through the TradingFXSignals Platform or the Services is at your sole risk and discretion and we hereby disclaim all liability to you or any third party relating thereto. The TradingFXSignals Platform and TradingFXSignals Services, and all materials, information, products and services included therein, are provided on an “AS IS” and “AS AVAILABLE” basis without warranties of any kind. WE EXPRESSLY DISCLAIM ALL WARRANTIES OF ANY KIND, EXPRESS, IMPLIED OR STATUTORY, RELATING TO THE TRADINGFXSIGNALS PLATFORM AND THE SERVICES, INCLUDING WITHOUT LIMITATION THE WARRANTIES OF TITLE, MERCHANTABILITY, FITNESS FOR A PARTICULAR PURPOSE, NON-INFRINGEMENT OF PROPRIETARY RIGHTS, COURSE OF DEALING OR COURSE OF PERFORMANCE. Regarding the security, accuracy, reliability, timeliness and performance of the TradingFXSignals Platform and TradingFXSignals Services. That the TradingFXSignals Platform and TradingFXSignals Services will be error-free or that any errors will be corrected. That the TradingFXSignals Platform and TradingFXSignals Services will be of any particular quality, meet any standards or requirements, or conform to any of your expectations in this regard. Compatibility. We do not warrant that the TradingFXSignals Platform and TradingFXSignals Services will be compatible with all hardware and software which you may use or which may exist or will exist in the future. The TradingFXSignals Platform may be connected to or utilize software, platforms, products or services developed or provided by various third party providers, Brokers and/or software developers (“Third-Party Services”). Trade signals, other data and information and Third-Party Services available through or used in conjunction with the TradingFXSignals Platform may be provided by Strategy Providers or third parties (e.g., Brokers or trading providers/platforms connected to the TradingFXSignals Platform). The accuracy of any data or information, including trade signals, available through or used in conjunction with the TradingFXSignals Platform should be checked before you rely on it. The accuracy, completeness, timeliness, results obtained from use, and correct sequencing of information of Third-Party Services or from Strategy Providers made available through the TradingFXSignals Platform is not and cannot be guaranteed by us. External Links and Advertisement. We have the right to insert, place or include advertisements or links to third-party websites of any type through the TradingFXSignals Platform. IN NO EVENT WILL WE, OUR OFFICERS, DIRECTORS, EMPLOYEES OR AGENTS, BE LIABLE TO YOU FOR ANY DAMAGES WHATSOEVER, INCLUDING WITHOUT LIMITATION, INDIRECT, INCIDENTAL, SPECIAL, PUNITIVE OR CONSEQUENTIAL DAMAGES ARISING OUT OF OR IN CONNECTION WITH YOUR USE OF THE TRADINGFXSIGNALS PLATFORM AND THE SERVICES WHETHER THE DAMAGES ARE FORESEEABLE AND WHETHER OR NOT WE HAVE BEEN ADVISED OF THE POSSIBILITY OF SUCH DAMAGES. IN NO EVENT WILL SIGNAL PROVIDERS, BE LIABLE TO SIGNAL FOLLOWERS FOR ANY DAMAGES WHATSOEVER, INCLUDING WITHOUT LIMITATION, INDIRECT, INCIDENTAL, SPECIAL, PUNITIVE OR CONSEQUENTIAL DAMAGES ARISING OUT OF OR IN CONNECTION WITH THEIR USE OF THE TRADINGFXSIGNALS PLATFORM AND THE SERVICES. Your access to or use of the TradingFXSignals Platform and the Services. If you choose to communicate to us any feedback, ideas or suggestions for improvement of the TradingFXSignals Platform and the Services, you grant us free-of-charge, irrevocable, non-exclusive, transferable right to use, modify, share, distribute and communicate such feedback for any and all commercial or noncommercial purposes, without charge and free of any obligation of attribution. You warrant that any such feedback you communicated to us is not subject to any license or any other third party right. To modify or revise these Terms at any time by posting the amended Terms on our website. Please check the most current Terms to ensure that you are aware of all the terms governing your use of the TradingFXSignals Platform and the Services. To make changes, update or discontinue the TradingFXSignals Platform and the Services or any format, feature or functionality thereof at any time with or without notifying you. To terminate or restrict access to the TradingFXSignals Platform and the Services for any reason whatsoever. Your continued use of the TradingFXSignals Platform and Services after a change or update has been made will constitute your acceptance to the revised Terms. If you do not agree with the modifications, please discontinue use of the TradingFXSignals Platform and the Services immediately, and cancel the Account you have opened with us. You may terminate these Terms at any time by sending a prior written notice to us and ceasing to use the TradingFXSignals Platform and the Services. You engaged in other actions related to or in the course of using the TradingFXSignals Platform and the Services that may be illegal or cause liability, harm, harassment, abuse or disruption for you, other users, us, any other third parties or for the TradingFXSignals Platform. We cease offering the TradingFXSignals Services and/or discontinued the TradingFXSignals Platform. You abuse the TradingFXSignals Platform by sending large amounts of trades. Notwithstanding the foregoing, we also reserve the right to terminate the access to TradingFXSignals Platform and the Services or cancel your Account at any time and for any reason. Effect of Termination. Upon termination of these Terms all licenses and rights to use the TradingFXSignals Platform shall immediately terminate; and you will immediately cease any and all use of the TradingFXSignals Platform and the Services.